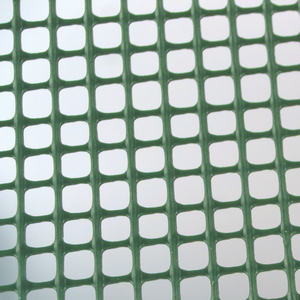 Square Mesh 50 is a high quality square plastic mesh with a square mesh aperture of 45mm x 45mm. 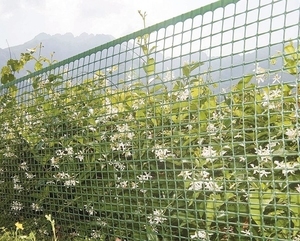 This green plastic garden mesh is ideal for garden fences, crop protection, plant support and the 50mm square mesh aperture makes it the perfect clematis mesh. 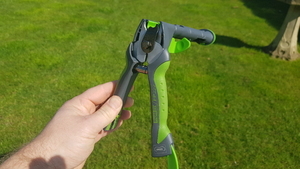 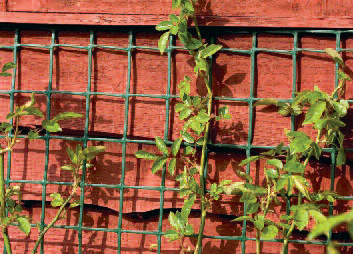 Typical applications include garden fences, tree protection guards, plant protection, climbing support for Clematis and other climbing plants and crops. The 45mm square mesh ideas is an ideal size for a cost-effect garden fence. 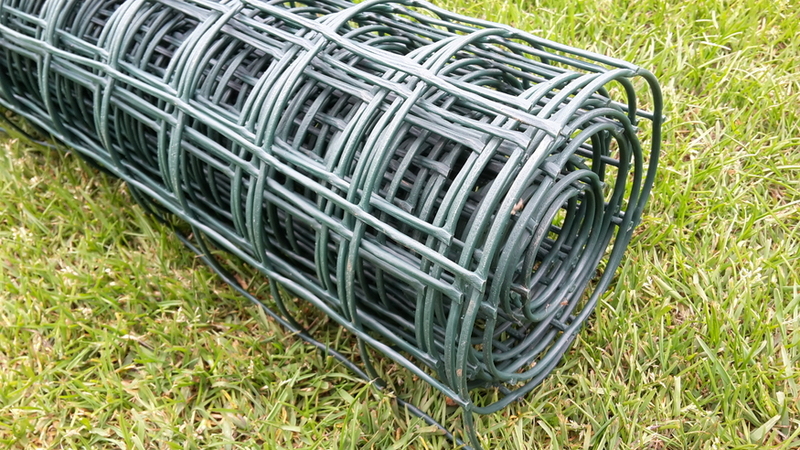 When installing a fence we always recommend that the plastic mesh is not nailed to timber fencing posts by each plastic mesh filament as this can cause the mesh to split and break. 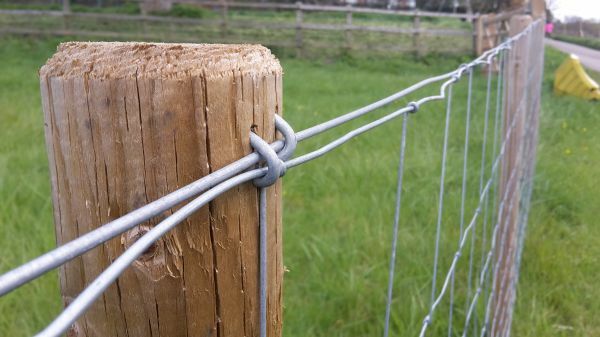 the best options are to batten the mesh to the fencing posts (so the mesh is held between a batten and the post - thus spreading the fixing). 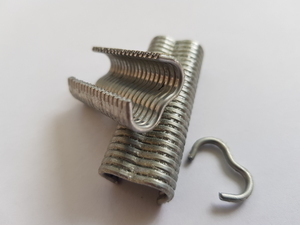 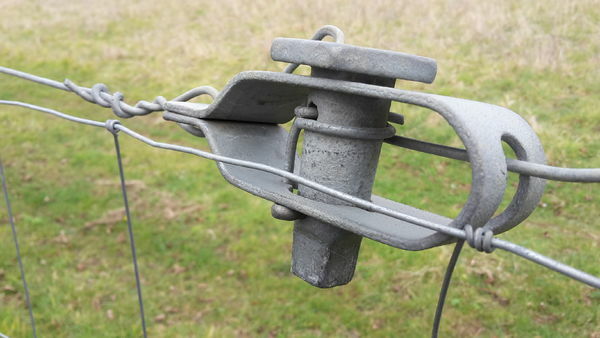 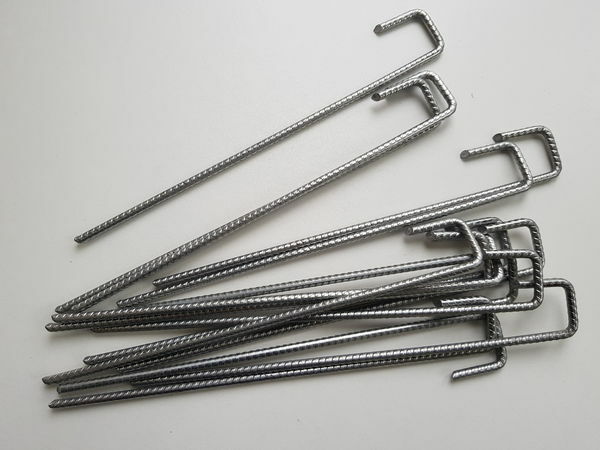 The mesh should also be installed and tied or clipped to a galvanised fencing line wire to keep the plastic fencing mesh taut, strong and prolong the life of the product. 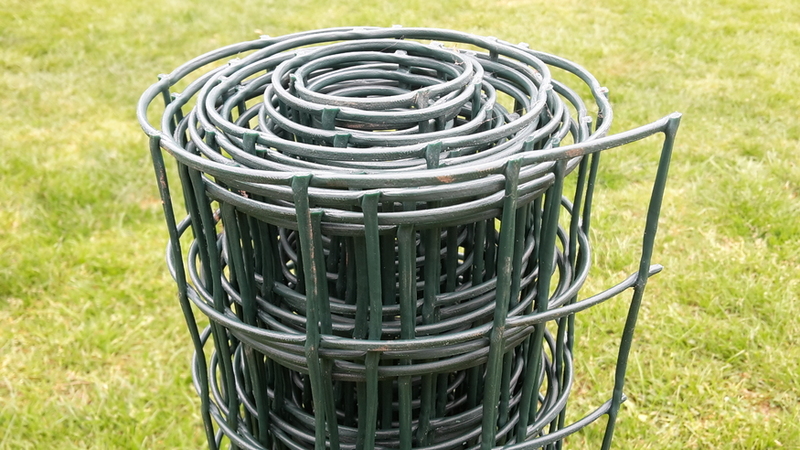 Each roll has a double standed edge which makes an aperture of less that 45mm wide on these edge only.